London, Friday 16 November 2018: Limitless has been selected as a Rising Star at Deloitte’s UK Technology Fast 50 programme. Presented by the previous winner and founder of Just Eat, David Buttress, the Fast 50 award ranks and recognises the 50 fastest-growing technology companies in the UK, based on four years of revenue data. Deloitte also awards the Rising Star badge of honour for those companies too young to be ranked in the list of 50, but who is leading the way in innovation. Winners of the UK Technology Fast 50 programme include companies such as Deliveroo, which have demonstrated impressive revenue growth and pioneered innovative use of technology to solve business problems. Through its Crowd Service™ platform, Limitless allows companies to connect with their most engaged customers (a.k.a. Ambassadors) and pay them for providing on-demand customer service. Limitless has successfully taken this model to market and is working with household brands such as Unilever, Fox, Vodafone and Microsoft. Dedicated to providing its Ambassadors with a good-gig™, Limitless is one of the world’s first tech platforms to introduce localised platform terms to protect the rights of gigging workers. Deloitte’s nomination recognises the rising importance of crowd sourcing in the customer service sector around the world. This shift is being driven by the need for companies to access new talent, improve customer orientation and move to more fluid resource models. 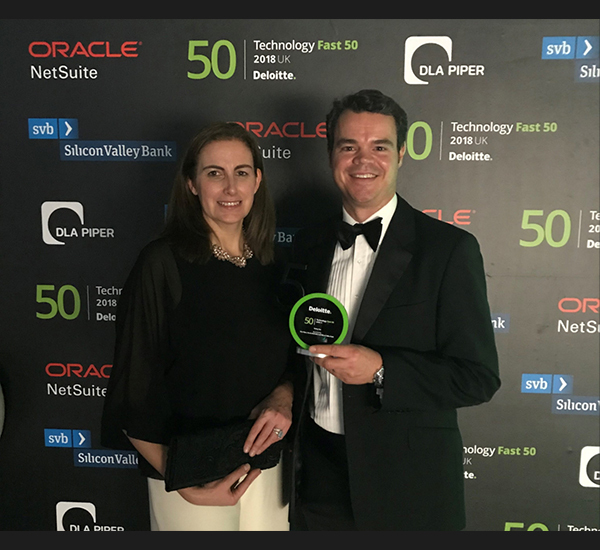 Roger Beadle, CEO of Limitless adds, “We are delighted to have won the Deloitte Rising Star award at this year’s UK Technology Fast 50 programme. Our Crowd Service™ platform combines crowd sourcing and AI to help businesses address their biggest resourcing challenges – rising costs, increasing attrition, variability in demand and the need for diversity. Through deploying freelance talent which can flex in line with demand, we help businesses exceed customer expectations at significantly lower cost.